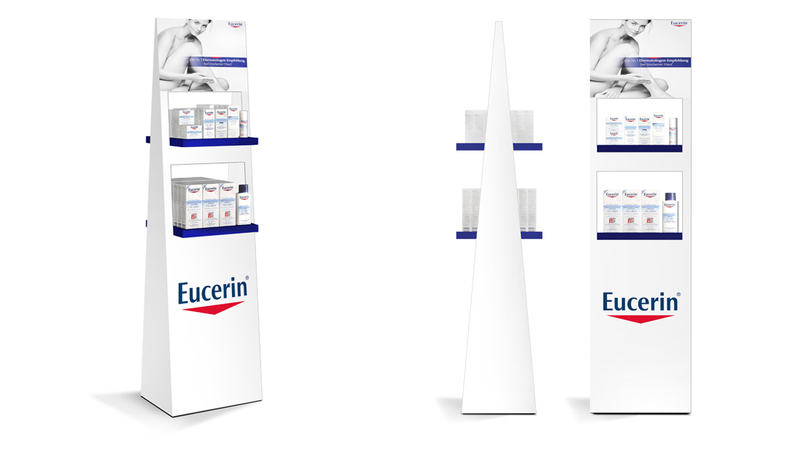 Beiersdorf AG commissioned Doenitz Displays & Packaging with developing a new floor display for a promotion at the beginning of the year for the Eucerin® brand and its dry skin product line. 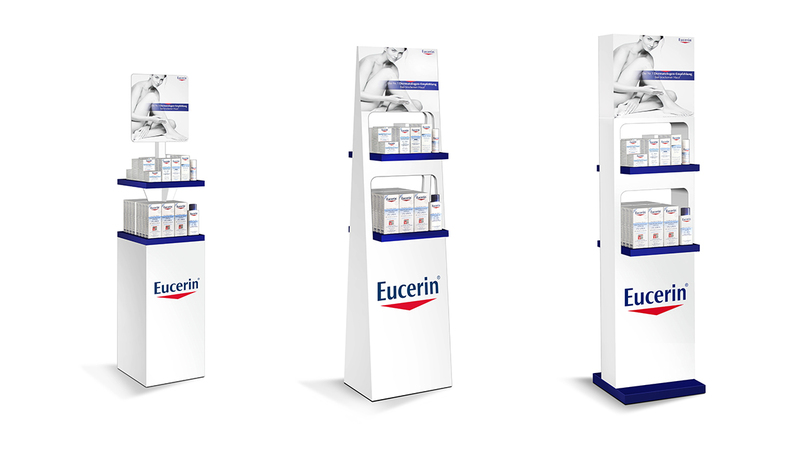 Easy handling and a high-quality appearance with simultaneous low space requirements were particularly important to the customer, since the display was going to be centrally positioned in chemists’ shops. It should be possible to access the products from both sides. Furthermore, Beiersdorf also placed great value on presenting and communicating the high-quality of the products by the use of the right materials. 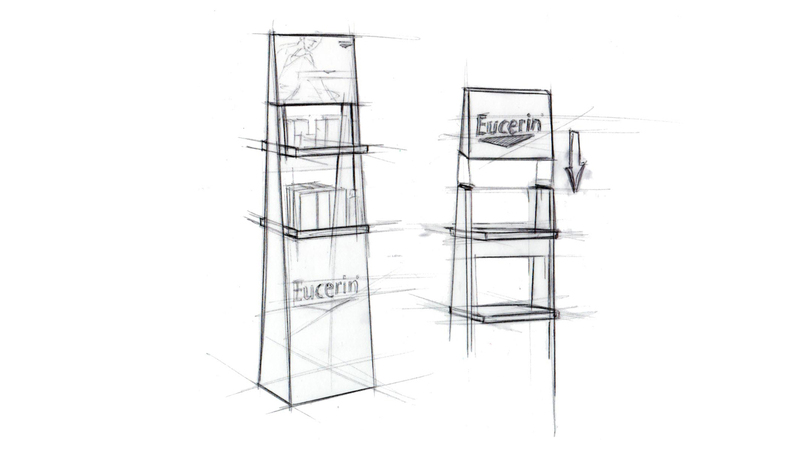 According to these guidelines, we initially created various visualisations of different display shapes, as well as 3D images that were then presented to the marketing and packaging development departments. Further development involved the design of a printed sample that was made in the in-house POS agency at Doenitz. 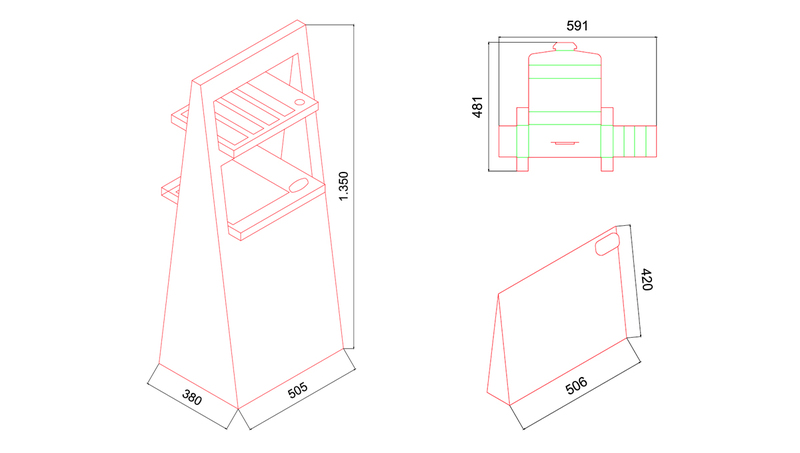 A triangular floor display that ensures the optimum and high-quality presentation of products, with two integrated trays including a tester holder. Different tray inserts were developed so that each chemist could adapt the product placement to their own requirements. In order to emphasize the high quality of the products, bright white Invercote paper, which was then refined with a UV coating, was used for all printed parts. The expectations on the project were perfectly realised by Doenitz Displays & Packaging. Feedback, particularly about ease of handling and sales, was positive without exception.